Clara on her birthday last year. 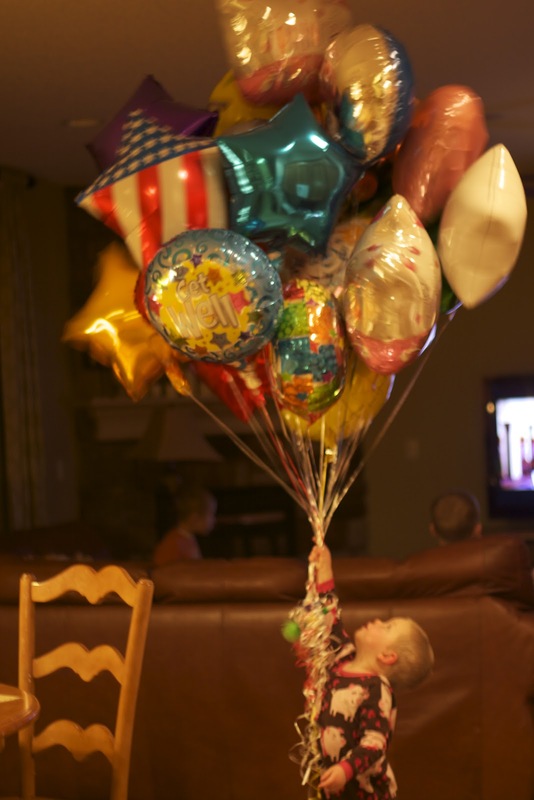 I have been silent on this blog for a long time and I don't know if I will ever feel up to posting much again, but I wanted to share this video my sister put together for Clara's birthday on Saturday. It is a perfectly happy and sad compilation of her short life. As many know it doesn't get any easier, every minute of every day she is missed. We can't wait to hold her in our arms again someday. I don't know if we will ever be able to let go. 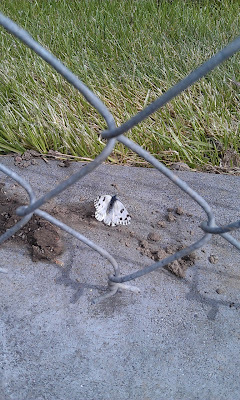 We planted a little butterfly garden on Saturday to memorialize Clara and remind us each Spring and Summer of new life. 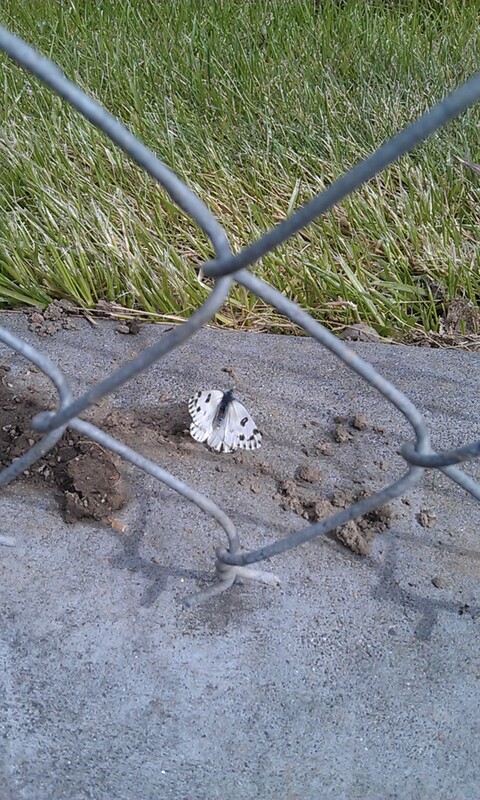 When we finished a little white butterfly flew around us and landed. A little reminder that she is always with us. Amazing. There have been many dreary days here in our neck of the woods. Once November comes around we can say goodbye to blue skies. When I checked the weather forecast tonight I was relieved to see we will have some sunshine to be thankful for on Thursday! It has been 2 weeks since Clara has passed. Life surely isn't the same without her. But, it is going on, as normally as it can. We miss her so much! Tonight I went upstairs to check on Baden and Kate. They were both wearing their Hope for Clara tee-shirts. Baden filled me in on what they were up to, a Clara sleepover. Clara's blankets were spread out on the floor and they had a station at each blanket. On one blanket they had to draw a picture of Clara and other activities on the rest of the blankets. Most nights since she passed they are doing something to honor or remember her. A couple nights ago they gathered all of Clara's things and organized them into a drawer. I'm so happy they are keeping her memory alive. I tear up when I think that one day their memory will fade and they will stop doing these sweet things. Each day our mailbox is filled with sweet notes and cards from old and new friends. Thank you! It brightens up these gloomy days. We are so grateful for the kindness, generosity and love so many have extended to our family. We have such a great desire to pay it forward and you can be assured we will, all the days of our lives. Thank you for kind words and love that has been extended to our family with the loss of Clara. There is no need to feel sorry for us, words can't adequately express how thankful we are she is no longer in pain and we know she is in a better place. Please feel welcome to bring your children to the funeral, it would warm our hearts to have the families and children who have been praying for Clara for so long be there. 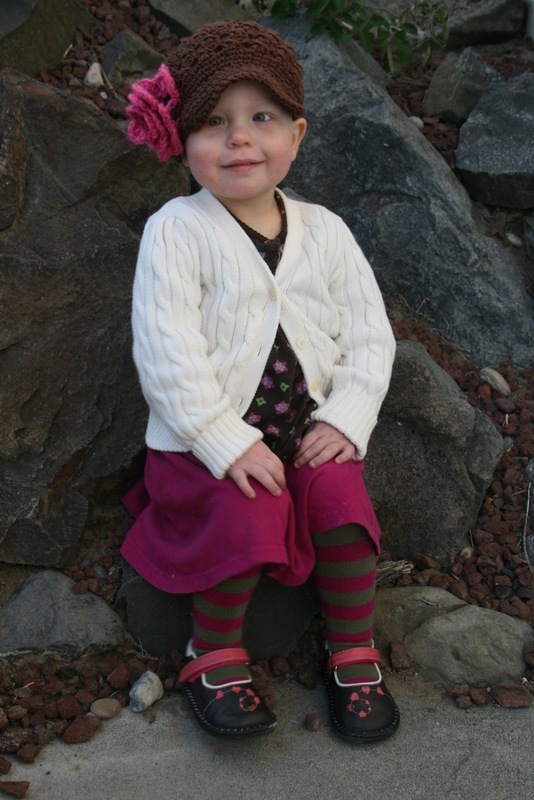 Little Miss Sunshine, Clara Woodward, of Pasco, WA, passed away at her home, Wednesday, November 7, 2012, after a valiant 18 month battle with neuroblastoma, a childhood cancer. Though only 3 years old, she blessed the world with her radiant smile, her infectious laugh and a wisdom that defied her young age. We learned a lifetime of lessons from Clara in the short time we had with her on this earth and rejoice in the knowledge that we will be reunited after this life. Clara was born in Richland, WA on April 27, 2009 and spent all of her brief life in Pasco. 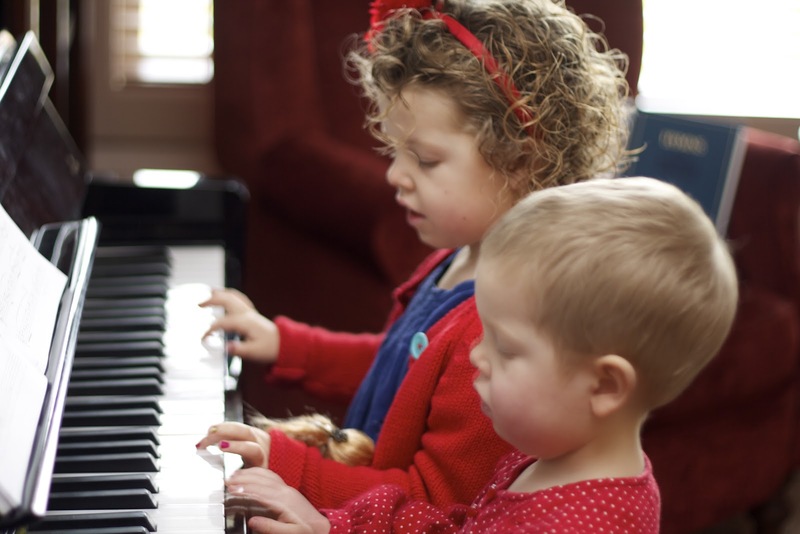 She loved singing, especially the primary songs she learned at church and at home. When she felt well, she loved to have the music loud so she could dance and sing along. Clara's joys in life included jumping on the trampoline, swinging for hours in the backyard, dressing up like a princess, pink pearls around her neck, and Ziplocks full of snacks. Her arms tight around our neck and kisses on our cheek brightened our days. 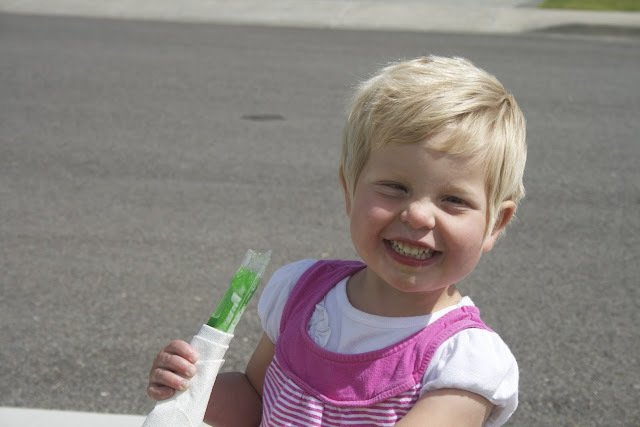 Our sweet Clara touched the lives of many with her zest for life through 5 months of radiation, surgery and chemotherapy during lengthy hospital stays. In October 2011, she returned home, reunited with her siblings and parents where we have spent the last 13 miraculous months together. From Clara we learned that life is precious, that no earthly pleasure exceeds the joy derived from eternal family relationships. We learned that there are things much worse than destroyed potted flowers, that fingernail polish eventually comes off, that few things soothe a frightened child quite like a pink blankie and a drink of milk. We learned that strength comes from fighting battles together and that there is nothing sweeter than being reunited with family after a long separation. We learned to cherish seemingly insignificant moments and to celebrate minor accomplishments. Clara loved to go to church and learn the stories of Jesus. During her darkest days of struggling with pain, she would watch Music and the Spoken Word by the Mormon Tabernacle Choir for hours on end as it brought peace and comfort to her gentle spirit. Clara was blessed in life by countless doctors and nurses, particularly those at Sacred Heart Children's Medical Center in Spokane who prolonged her life and enabled her to spend eight wonderful months at home prior to relapsing. Clara is survived by her parents, Brian and Natasha Woodward, her brothers Chandler, Carson and Baden and her sister Kate; her grandparents Kent and Krista Woodward and Tracy and Jill Lybbert; great grandparents Forrest and Betty Lybbert, Joan Casper, and Zelma Woodward; uncles, aunts and cousins Cody and Candace Fielding (Carter, Blake, Vivian, Lincoln), Kyle and Chelsea Mahuika (Michael, Preston, Brooks), Devin and Kendra Lybbert (Dean), Andrew Lybbert, Matt and Kim Peterson (Ethan, Jens, Myra, Melaina), Brandon and Kym Woodward (Cole, Jace, Bryce, Jaylee), Trey and Jami Warner (Indie), Cameron and Ashley Treu (Taya, Dodger), and Andrew and Jenna Van Buren (Cash, Brody). She was preceded in death by great grandparents Harold and Joan Briggs, Paul Woodward, William Casper and cousin Zan. We rejoice in the knowledge of a Heavenly Home where Clara now watches over us. The Atonement of our Savior brings us peace and comfort with the sweet assurance we will be reunited again in the eternities. Families can be together forever. 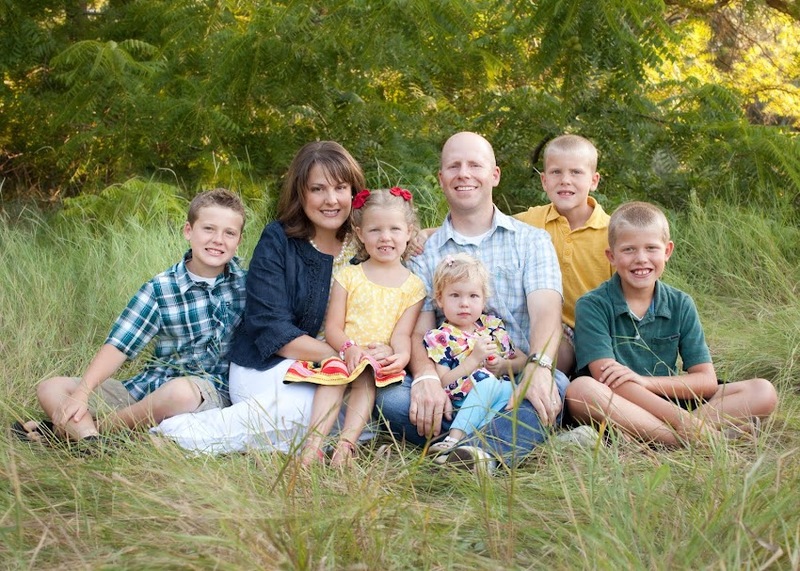 The family will receive visitors at their home on Sunday, November 11, from 5-8 pm. Funeral services will be held on Monday, November 12, 2012 at The Church of Jesus Christ of Latter-Day Saints Pasco Stake Center (2015 N 24th Ave) at 11:00am. Never did I think the same blog that announced the birth of Clara would also announce her death. I'm so proud of her. She finally let go. Free from pain and sickness. Our little angel. It's been the bitter-sweetest of days. All we have now are memories and we will continue to reminisce and look forward to the future with a resolve to be a little better each day. We love you Clara girl and yearn for that glorious day when we will be reunited. Thank you for the prayers you have offered for Clara and our family, they have undoubtedly sustained us over the last year and a half and continue to comfort us. God's love abounds and is manifest through the many kind people who have been placed in our path. The funeral will be Monday, November 12th at 11am. Details forthcoming. Just a few weeks before the relapse and she stopped dancing. I just wish I wouldn't have flipped the phone the wrong way mid video. Hope Aunt Chelsea doesn't mind her cameo appearance! Tonight in her quiet moaning voice Clara asked for Kate to come lay by her on the couch. I don't know if it's possible for a picture to overwhelm me with gratitude while at the same time breaking my heart, but that's what it does for me. She wanted her sister close. Of course it caused me to wonder if she knows what tomorrow brings. Clara has been blind for a couple weeks. The only normal thing she has left is food. She hasn't been sleeping much lately so we have become short order cooks and baggie fillers at all hours of the day. But the thing is, she doesn't eat any of it. At least not much of it. It's tiring and exhausting and frustrating. We know it's nothing compared to what she is going through. All we can do is imagine. And cry. Lots of crying. We've prepared ourselves to say goodbye more times than I can remember anymore. Her heart always bounces back. And her breathing regulates. On Friday afternoon her heart rate was 48. 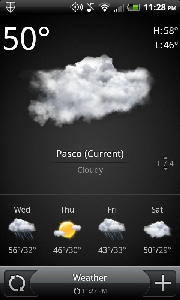 By 9pm on Friday night it was back up to 120. Her will is so strong! One of these days she is not going to bounce back. Her spirit will no longer be in her broken body. Along with the overwhelming grief I anticipate a great sense of relief will also wave through us. We belong to that group of parents now who have helplessly watched their child suffer physical agony and we won't be the last. I spend my days thinking and planning what I will do for those parents who will one day experience what we are. I just hope some good may come of Clara's trial and our experience. I have been forever changed and truly believe it has been for my good. Clara has been an amazing teacher. Once again, Clara and I are at home while Natasha and the kids are at church. These peaceful moments alone with Clara remind me of so many days last year in the hospital - curtains closed, music softly playing Clara's favorite songs, and a feeling that in spite of how terrible our situation may look to all of the casual observers on the outside, we are truly blessed beyond measure. Tragedy does that to you; it helps you to reflect and to examine your priorities. While I still can't imagine life without Clara, we anxiously await the day that she is freed from her severely imperfect body, and the day that we are freed from the crippling stress and anxiety that batters us daily. There have been times in the last 16 months when I have felt that I am a casual observer to what is going on in our lives, almost like an out of body experience. Though Clara's suffering and the accompanying grief have been unbearable, through the atonement and grace of Jesus Christ our burdens have been lifted and we have felt a strength beyond our own. That is a gift from God, available to all who believe and ask in prayer. We have learned that it is impossible to force our will upon the Lord. For a long time we prayed that Clara would be miraculously healed. Our prayers now are that she can be filled with peace and comfort as she departs mortality. In His infinite wisdom, neither of these prayers have been answered in the way we had hoped. We do not yet know the reason for this, but we do know that at some future time it will be revealed to us. Where would we be without the plan of salvation and the knowledge we have of our Savior and His resurrection? While our lot is hard, I can't imagine the incomprehensible pain felt by those going through similar trials without a sure knowledge and testimony of what awaits us after this life. It is only because we know we will be reunited with Clara that we are able to go on. God hears and answers our prayers, though maybe not always in the way we want or when we want. Each new day brings new trials, new pains, and new struggles with this enormous spirit trapped in a tiny, failing body. We will continue to learn from Clara, long after she is gone. I hope you all can too. This post is full of straight talk. I need to tell it like it is and try and share what's going on behind the public smiles of Brian and I. Someday, somewhere, someone may read this and know they are not alone in the heartache of losing a loved one, even a child. Clara is ready for a conclusion to this pain and suffering. And we are ready to have her free of pain and distress. It's more than our hearts can bear. I don't understand how or why she is still able to endure, but the pain in her face will surely be with me as long as I live. 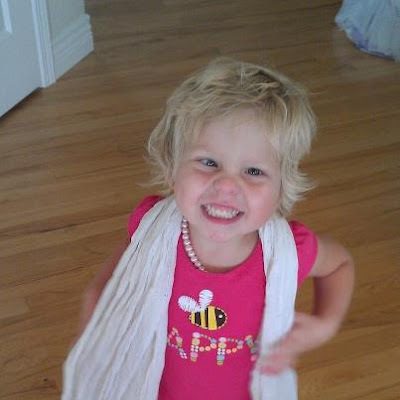 How I long for the day when I am reunited with a sweet, happy and twinkle eyed 3 year old girl. 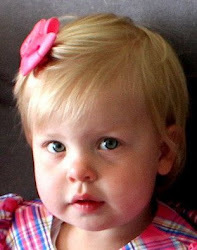 I really do believe when I see her in heaven she will be 3! I can't wait. The medical professionals (and her family!) are stumped she's still hanging on. So many times we've been prepared for her passing. The signs are present and yet we wake up every morning and she's still there beside us. Our Clara has always been a fighter and so we aren't completely surprised she is fighting to her death with all that is raging in her body. She has several lumps on her head that are only getting bigger. Just this morning we discovered many lumps in her abdomen. And with her yellowed skin we can only guess it means a failing or affected liver. All day and night long she wants us to rub her tummy, arm or leg. She is thin and frail. Every bone in her body is visible. Walking is painful and at this point she can only handle a few steps a day. Two weeks ago she reached the point of being unable stand up by herself when she bends over to pick something up, stuck in a bent position. She refuses to take oral pain meds and the patch is only taking the edge off her pain. She won't even look at herself in the mirror anymore. The sadness in her eyes is heart breaking. This has been and continues to be a trial of my faith. 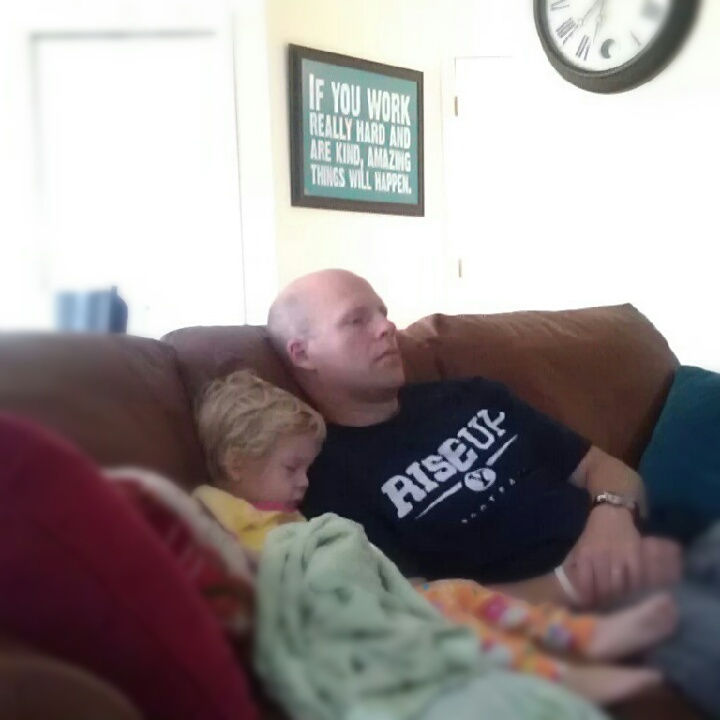 Amidst the tiring and trying days of watching Clara suffer and caring for her there have been many tender mercies. I know God is there. His love is abundant. He is hearing my pleadings to release her. We are being sustained and strengthened in our refiner's fire. And it's true: Life isn't fair. But, I never thought it was. The Atonement of Jesus Christ is real. I know it is through our faith in Him and the infinite Atonement that we are able to endure. If you pray for Clara, join with us in praying for her release from her pain that she may soon find rest in heaven. Thank you from the bottom of our hearts. Clara is still holding on, but with less energy than she has had in the last month and a half. We wish she could just let go and be free. She is peaceful though and the miracle of modern medicine is keeping her comfortable, but a part of her is missing and we hope she will soon be whole again. In a rare moment today when she was coherent I told her, "It is okay, you can go to heaven, we will be all right." She whispered, "Not yet, I want to stay here with you guys." The wisdom in her soul is greater than I could ever hope to understand in this life. She will go when she is ready. Meanwhile, our family is blessed by the love, support and charity of so many. We are learning more and more what we can do and need to do to be more Christlike by the examples all around us. Thank you, thank you a million times over. Words have failed me as I have tried a few times to start a post the last couple of weeks. It's been two weeks since we learned for certain that Clara's cancer came back and was spreading. It all happened so quickly. Overnight, it seems. 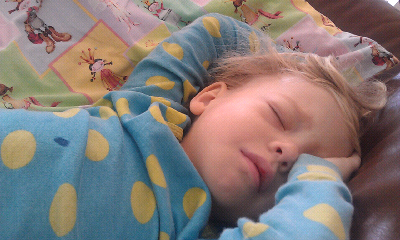 One day she is prancing around, riding her bike, jumping on the trampoline and the next day she's in pain and wants to sleep all day. There is no more fighting. She has already fought the good fight and in the words of our sweet Clara herself, "Heaven is too far away, I want Jesus to pick me up." At the tender age of three years old, she is wise beyond her years and has always known what she wants. The peace we feel surpasses our understanding, but is undeniable. This is the right thing to do and we will live looking forward to our heavenly reunion all the days of our lives. Thank you for your love, kindness and generosity as we have waded through this trial, your prayers most certainly have sustained us. The miracle we were blessed with, having 8 months of being together at home with a happy and full of life Clara has been better than we could have hoped. We can't wait to share eternity together. 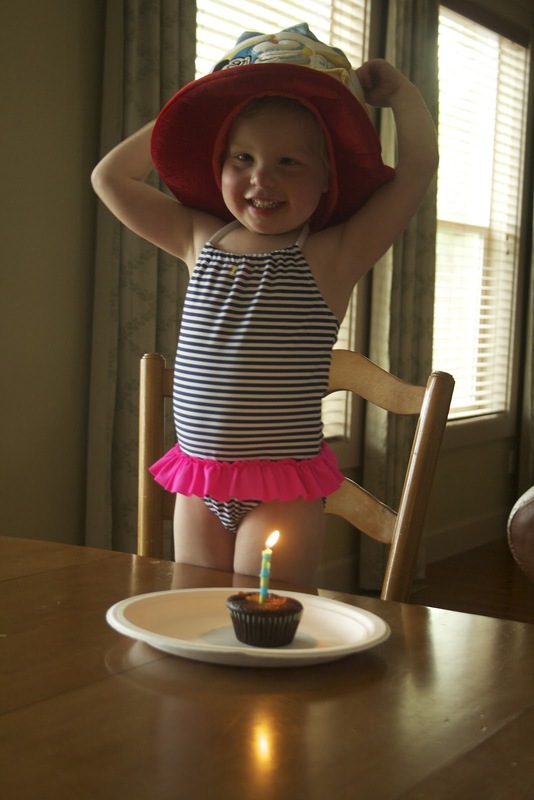 This morning I had an event reminder on my phone: Clara’s Neuroblastoma diagnosis 5:00 am. The emotions and feelings I had 1 year ago have come flooding back to me this week. The anxiety, the uncertainty the TEARS! Those first weeks my prayers were filled with fervent pleadings to my Heavenly Father to take her back to Him and spare her further discomfort and pain if it was His will. I suppose those words come easily to a mother whose heart is breaking watching her 2 year old so sick in a hospital bed. My prayers are now filled with gratitude for her returned health and strength. 365 days ago I couldn’t imagine life for our family being what it is today. We are blessed, abundantly blessed! Clara is our daily reminder of God’s love and grandeur. And the answer to the question I get all the time: how is Clara? Clara is doing great. She doesn’t stop and especially not for naps which means at the end of the day I’m counting down the minutes till bedtime. She’s the same persistent and determined little girl who raged through chemo, radiation and weeks in the hospital. My favorite thing ever is when she gets up a little too early in the morning and comes in to snuggle up next to me. She wraps her arms around my neck, closes her eyes tight and her trademark cheesy grin spreads across her face. A few minutes later she falls back asleep. I love her sweetness. It definitely makes up for the “what will she wear” battles every day. We are still cautious, paranoid at times maybe, especially when she manifests symptoms we have been told to watch for which mimic those symptoms that come with an ordinary childhood cold or flu. I don’t know if we will ever stop worrying and wondering. It’s always in the back of our mind that it will come back. We’ve been told it will, but we also know medical research doesn’t have all the answers and sometimes God’s Will defies research. I can’t help but hug and kiss Clara every chance I get. With such a bleak diagnosis just a year ago I didn’t know if she’d live to see her 3rd birthday. We’ve been given the greatest gift, more time with Clara. We hope it is a lifetime! For obvious reasons this time of year causes me a lot of anxiety. Memories of the past 12 months come flooding back with the slightest reminder of what we've been through. 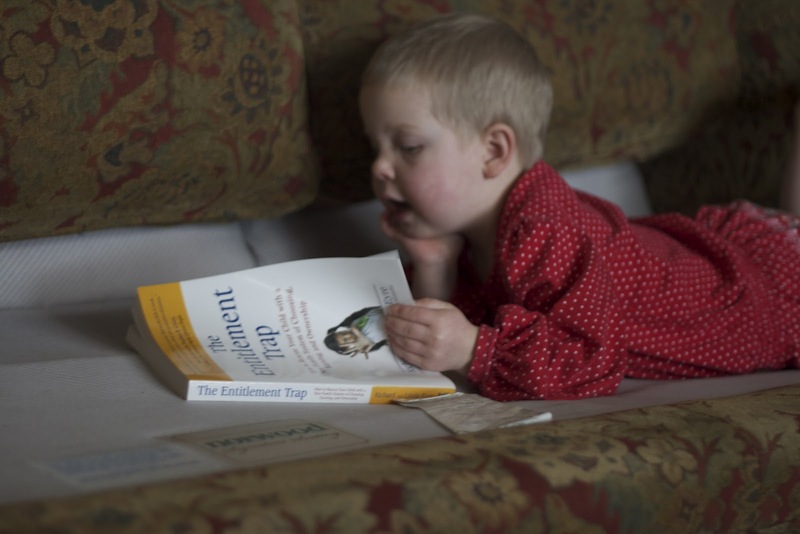 For the first few months after we brought Clara home from Spokane, I would religiously read any news article on neuroblastoma that I could find. Now it actually makes me ill just to see the word. I shudder at the sound of "cancer" just like I do when I hear an inappropriate word on tv. It is only because of God and the atonement of Jesus Christ that we were able to make it through that awful period. I feel like we have all emerged stronger, yet gentler from this experience. Tonight for family home evening we talked with the children about the principle of compensation, which was a little difficult for some of the younger ones to grasp. We are so blessed to have Clara with us. 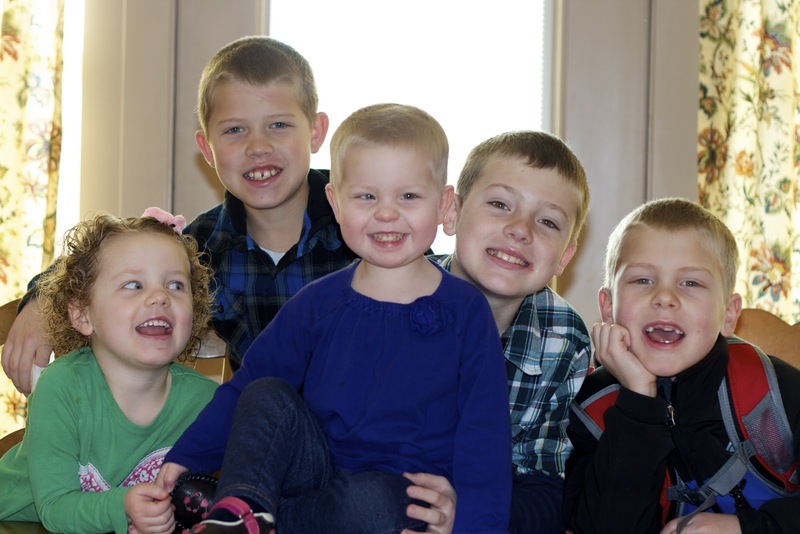 We all continue to give thanks in prayer that we are together and that Clara has been blessed with a miracle. I am continually amazed and in awe at how good the Lord has been to our family. We recently moved to a new (for us) home in a neighborhood overflowing with children, which is a big change from anywhere else we've ever lived. I get home from work each day to a driveway filled with bikes and sounds of children playing and laughing. Noticeably absent are the sounds of any children doing homework, however. Last night when we knelt for family prayer, Carson expressed gratitude for our neighbors and friends. He has truly compensated us for lost time. What does the future hold for us and for Clara? We don't know. The doctors have not (and likely will not) give her a clean bill of health. Her blind right eye appears to be making some progress. At the eye doctor last week we found that her right eye vision is 20/6000. Not exactly eagle eyes, but it's a start. She spends most of her days floating between our house and the neighbors, usually in a swimsuit, regardless of outside temperatures. Her hair is growing back, much thicker and with more texture than before chemo. All of this just reaffirms in my mind that no matter what trials life throws at us, life is good and we are richly blessed. Out of the mouth of a six year old. Tonight before family prayer I asked all the kids how they have seen the hand of the Lord in their life today. Baden shared this experience from his personal scripture reading. For a minute I forgot he was six years old. I had him repeat his experience again so I could have it on video. Time has flown! The saying: time flies when you're having fun, is absolutely true. 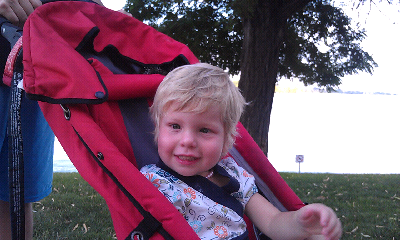 The last 4 months have gone so much faster than the first 4 months after Clara's diagnosis. So here is my monthly update because we are too busy to do much more than that. Yes, the pictures are mostly of Clara and Kate. My two girls are my only willing subjects, plus they are home with me the most. Clara is practically perfect in every way. She's also perfectly two. There isn't any real hint she is almost three. I have to keep reminding myself that for about 6 months she had quite a bit going on and so she has some things to catch up on. Try as I may, potty-training can wait I suppose :) She's home, happy and seems perfectly healthy and that's all that matters! We love her hair! So stylish and so soft. I thought it was so funny when I caught her on the cushion-less couch she had just been jumping on thumbing through The Entitlement Trap. Really, the picture says it all. Aspiring pianists. One of their favorite activities. 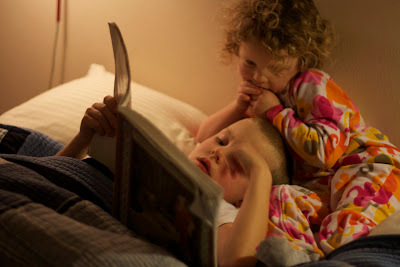 Baden reading Kate The Old Testament reader before bed. I'm so happy I don't have to miss out seeing moments like this. When the mail comes you can find them both in this spot. Don't you love the wedding dress-up? LIVESTRONG PINK! Her favorite shirt. We are so grateful she is still living strong. So thankful. Clara had a doctor's visit last week here with one of the oncologists from Spokane and she thought Clara looked, sounded and felt great. We couldn't agree more. In two more months we will have another follow-up with Dr. I, he also wanted to get some blood work done the week before to go over. We will pray all will continue to be well with our little miracle. I know it has been too long since I have updated this blog and many are wondering how Clara is doing. In short, everything with Clara is perfect. Family life is busy and happily so! 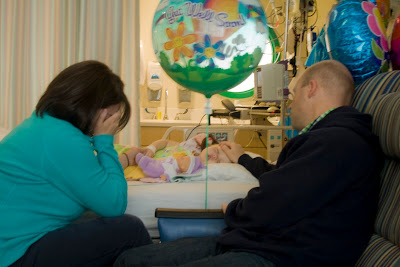 It was exactly 8 months ago I started blogging about Clara and neuroblastoma. In some ways it seems like forever ago. Today things are much happier. And we are enjoying each and every bit of our normal lives. Clara no longer has a central line so she takes showers and baths whenever she wants. Sometimes hourly. Her hair is growing. So quickly! Her night terrors are diminishing, yet she always seems to find herself in between her parents. She likes to hold our hands just like the good 'ole days. 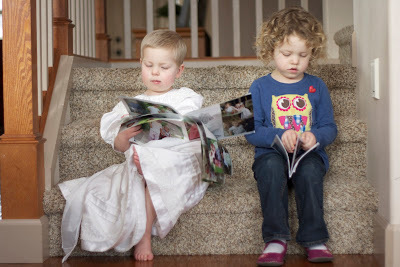 Her favorite books are "Pinkalicious" and "Fancy Nancy." The other day she "read" them to me. It got me all teary. That happens a lot! She is our own personal tornado. It's pretty impressive how quickly she can make a mess. It doesn't usually bother me because I know what the alternative could be. She thinks clothing is optional. Which usually leads to another shower. I could write a book patterned after, "If You Give a Mouse a Cookie." I would probably title it, "If You Change Clara's Diaper." 37 Now my brethren, we see that God is amindful of everybpeople, whatsoever land they may be in; yea, he numbereth his people, and his bowels of mercy are over all the earth. Now this is my joy, and my great thanksgiving; yea, and I will give thanks unto my God forever. Amen. 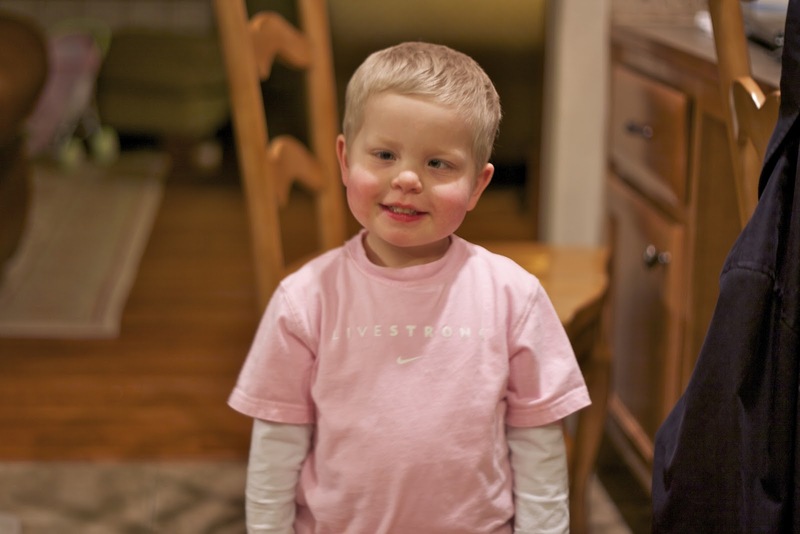 After Clara's appointment in Spokane the beginning of December, her oncologist referred her to hospice. Typically, from what I understand that is done for patients who have a life expectancy of six months or less. When we met with them Clara was running circles and in her show off mode. They remarked that she looked just fine. How we hope that six months comes and goes with Clara still running circles around our home! This much I know: whatever happens in the future for Clara, she is exactly where she needs to be. Home. We all need her home. This is a miracle! And I shout from the rooftops:"Yea, I say unto you, there never were men (or mother) that had so great reason to rejoice as we (me)..."
And so I will continue as I have for many months now to give prayers of thanksgiving for Clara's miracle and fervently pray for her continued health and healing. Thank you all for your prayers and faith for Clara. I have rarely gone anywhere the past 3 months without complete strangers coming up to me and asking, "is this Clara? I've been praying for Clara." To those near and far who love Clara and pray for her know we are seeing and experiencing the answers to those prayers. 29 ...have miracles ceased? Behold I say unto you, Nay; neither have aangels ceased to minister unto the children of men. 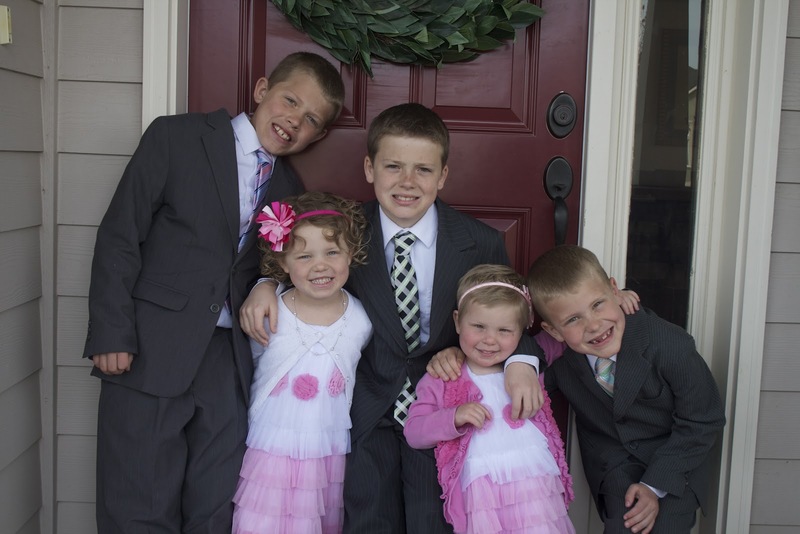 A couple Sundays ago we were headed out the door for church and Clara proclaimed, "Picture time!" And since it was Clara's idea, they all rallied around the idea and just look how cooperative they all were. It was awesome! This picture sums up my thankful heart. Five children, together. Each with their own talents, struggles, triumphs, personalities, and spirited natures that combine to make our home the only place I ever care to be. After months of being separated, this is a blessing I will never take for granted again. All those seemingly mundane and thankless tasks? I am thankful for them. I'd like do nothing more till they aren't around for me to do them anymore. I am thankful to be their mother. I love it! And our dear Clara? The one we pray for continually and have so much hope for? She's doing great. Aside from a bit of post-traumatic stress disorder manifested every night with night terrors (when she screams in her sleep things she said in the hospital) she's resumed a relatively normal life. She hasn't had any pain, she is eating perfectly and her mobility is spot on. While we are hoping for a miracle, at the same time we are holding our breath. Waiting for symptoms to appear and give thanks after each day that resumes on as normal for Clara. Thank you for your faith and prayers. 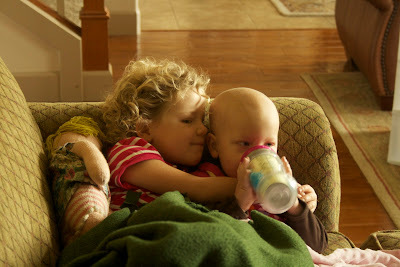 They are what kept us all holding on during those months of treatment and helping Clara and us to continue on. We are thankful for you. We are thankful for God. We are thankful for a blessed life. Brian and I feel our family is living a miracle these past two weeks. All 7 of us are in a blissful, happy state. I think Clara may be the happiest. She is doing so well. It seems she is picking right back where she left off back in May. She is a totally normal 2 year old. And we couldn't be happier about it. There are some minor things she deals with, but nothing that can't be smoothed over by some tender loving care. The other day I mentioned to Brian that remarkably my mind is not preoccupied with what's next or what the future holds. We agreed this is a blessing. Of course we have moments where we wonder how long this will last, these days of Clara playing and living the 2 year old dream, but we choose not to dwell on that which we have no control over. It is in the Lord's hands. His plan is perfect and His ways are perfect. These trials most definitely have given us much experience and been for our good. We have been greatly blessed. Each day is a gift and we thank God for each new day. We are happy to be home together. Chandler and Clara enjoying some carefree playtime today. Last Saturday while Clara was still inpatient, her oncologist visited with us about the next phase: stem cell transplant. He presented us with two options. Number one: we could enroll her in a clinical trial in which she would be randomly selected for either one transplant or two transplants. Number two: we could opt out of a clinical trial and proceed with the standard of care which is one transplant. You can probably imagine the burden such a decision places on a parent. So we did the only thing we know how to do in time of uncertainty, we made it a matter of fasting and prayer. Meanwhile we read over the literature we had been given, searched the scriptures, and poured over the words of our church leaders. By Monday morning Brian and I independently had our answers. We both knew with no amount of uncertainty, Clara was to receive no stem cell transplant. Medically it makes no sense. But we can make no excuse for the answer we have been given. There is a blessed assurance of peace and comfort that has accompanied this decision in knowing it is God's will. But, it is hard. Really, really hard. We pray every day, as we have since May 23rd, for a miracle of healing, but if not, trust in the Lord's plan for her and our family. We have had many tender mercies this past week reminding us of a loving Heavenly Father who is watching over us. We are grateful to know that we can be together forever as a family. Knowing that, well, it makes trials like this, easier to bear. 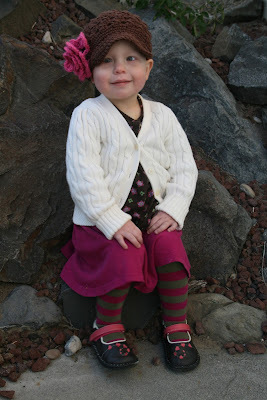 Wednesday and Thursday, Clara underwent a barrage of scans and tests. This evening we were given the results of most of them and are encouraged. In comparison to the previous work-up the neuroblastoma cells have greatly decreased in number. 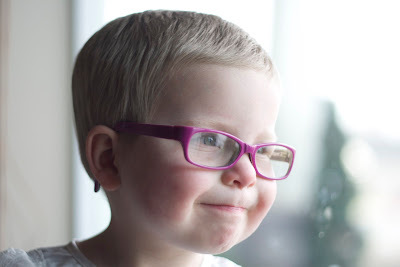 Initially she had "spots" in dozens of places within her body, and now the only seemingly active areas are her optic nerve region and the location of her primary tumor in her abdomen. It is possible these sites are actually scar tissue or dead cells, unfortunately there is no way of knowing. The road ahead is long and uncertain. We will take it as it comes and trust in the Lord to direct us in the decisions we make for Clara. Meanwhile we will savor the time we have together as a family spent at home.